I sat down in my office fighting an inner battle. My inability to have a child was giving me so much turmoil. The calendar has now become my best friend and I never passed a day without checking the calendar. It was like an addiction. became very calm and enthusiastic, asking me if I had children of my own. soon. I entered my car and zoomed off. “Just shut up and listen. written on it and held it out. 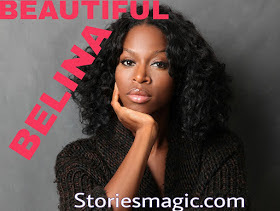 0 Response to "STORY: BEAUTIFUL BELINA (Season 2,Episode 8)"